Helps increase hair density, strength and manageability. 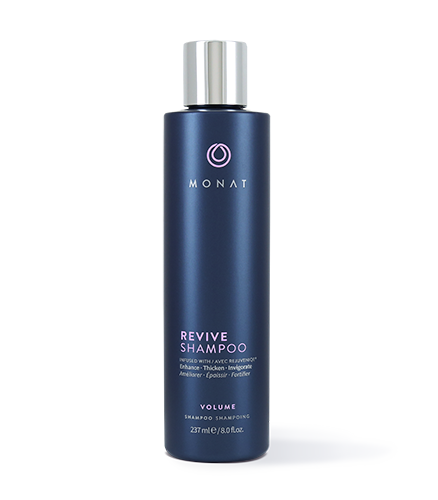 To learn more about Revive Shampoo, please contact your MONAT Market Partner. A gentle volumizing cleanser that delivers body to fine and limp hair. 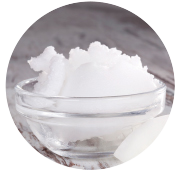 Gives hair a touchably soft and youthful look. Safe to use on colored and/or chemically treated hair and extensions. Introducing the revolutionary cleanser that delivers body to fine and limp tresses. Revive’s clinically proven ingredients increase hair’s density, strength, and manageability, bringing hair back to life! It’s the simple solution for thinning, lifeless locks. Apply a generous amount to wet hair. Gently massage into a rich lather from scalp to ends. Leave in hair for 2-3 minutes. Rinse thoroughly and repeat if needed. 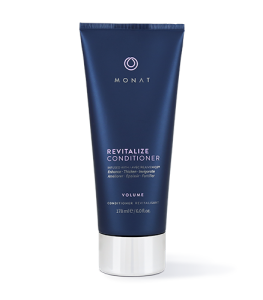 Follow with MONAT Revitalize Conditioner.